In this newly created role, Alan Ganek currently leads the IBM Corporate-wide initiative for Autonomic Computing which focuses on making computing systems more self-managing and resilient, lowering the cost of ownership and removing obstacles to growth and flexibility. This role reaches across IBM, touching virtually all functions. The scope of work includes servers, storage systems, middleware, systems management tools and services offerings, as well as standards and partnerships with other vendors and academia and government research institutions. Prior to joining IBM Software Group, Ganek was responsible for the technical strategy and operations of IBM's Research Division, a worldwide organization focused on research leadership in areas related to information technology as well as exploratory work in science and mathematics. Ganek joined IBM as a software engineer in 1978 in Poughkeepsie, New York where he was involved in operating system design and development, computer addressing architecture, and parallel systems architecture and design. He was the recipient of Outstanding Innovation Awards for his work on Enterprise Systems Architecture/370 and System/390 Parallel Sysplex Design. In 1985, he was appointed manager of MVS Design and Performance Analysis, where he was responsible for the technical plan and content of the MVS control program. Subsequently he was appointed VM/XA advanced system manager, responsible for strategy, design, planning, customer support, system evaluation, and product delivery and control. Ganek became manager of Enterprise Systems Market Operations in 1989, responsible for System/390 software requirements and announcement strategy. In 1990 Ganek was appointed Director of Worldwide Software Manufacturing Strategy where he was responsible for IBM's strategy for manufacturing, distribution, and packaging of software, software service, and publications across all hardware platforms. In 1992, he was named Programming Systems Director, Quality and Development Operations, leading quality programs for the Programming Systems Division and was also responsible for the software development processes including tools, technology, metrics, information development, and software service for IBM's software community. Ganek joined the Telecommunications & Media Industry Unit in 1994 as Director of Solutions Development, IBM Telecommunications & Media Industry Unit. In this capacity, he was responsible for development activity for over 900 developers supporting IBM's telecommunications and media industry customers worldwide, including regional and inter-exchange carriers, cable and wireless providers, broadcasters, entertainment companies, sports industry, and publishers. Project areas included internet and intranets, broadband, network management, customer service & billing, directory assistance, enhanced telephony services, operations support systems, digital broadcast and distribution, digital libraries, sports applications, and video transmission services. Ganek received his MS in Computer Science from Rutgers University in 1981. He holds fifteen patents. Dawn C. Meyerriecks is the Chief Technology Officer (CTO) for the Defense Information Systems Agency (DISA). She is also the Commander of the Command and Control Applications Directorate, whose engineering products underpin all joint and service command and control systems. Before joining DISA in September 1995, Ms Meyerriecks was the Chief Architect for the Army Global Command and Control System (AGCCS). She defined the architecture and led the integration and fielding of GCCS/AGCCS to Army supported Commanders In Chief and components. 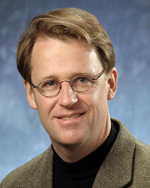 From 1995-1997, Meyerriecks was responsible for the engineering, integration, and production of the Common Operating Environment as Chief Engineer. 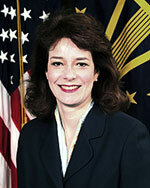 Ms Meyerriecks was selected to be the Deputy Commander for the Center for Computer Systems Engineering in January 1998, joining the Senior Executive Service. In 1998, She was appointed as the Chief Engineering Executive for Information Processing. In this role, she provided the technical leadership and direction for the development and implementation of Joint Command and Control, Intelligence, Combat Support and Information Dissemination Management SysteMs These programs continue to fall under her current Command Directorate. She was identified in the 19 November 2001 Fortune Magazine as among the Top 100 intellectual leaders in the world. Her recent awards include Federal Computer Week 2000 Top 100, InfoWorld 2001 CTO of the year for the government sector, the Presidential Distinguished Service Award in November 2001, the Senior Executive Service Exceptional Achievement Awards in 1998, 1999, 2000, and the National Performance Review in August 1996. Meyerriecks attended Carnegie Mellon University and was awarded a Bachelor of Science Degree in Electrical Engineering with a double major in Administration and Management Science in 1981. She received her Master of Science in Computer Science from Loyola Marymount University in 1983. From 1983-1994, Ms Meyerriecks worked with the Jet Propulsion Laboratory on Army C4I architectures and implementations in a variety of Chief Engineering and Program Management roles. Program associations included Southern Command's Command Center Upgrade, the Army standard Automated Message Handling System, and the All Source Analysis System. Ian Foster, co-author of The Grid: Blueprint for a New Computing Infrastructure, is an internationally recognized researcher and leader in the area of Grid computing. Foster is Associate Director of the Mathematics and Computer Science Division at Argonne National Laboratory and Professor of Computer Science at the University of Chicago. The Distributed Systems Lab that he heads at Argonne and Chicago is home to the Globus Toolkit, the open source software that has emerged as the de facto standard for Grid computing in both e-business and e-science. Foster is a fellow of the British Computer Society. 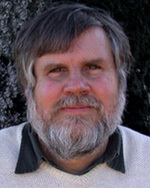 His awards include the British Computer Society's Lovelace Medal and the Global Information Infrastructure (GII) Next Generation award. Karl Auerbach has been working on Internet technology since the early 1970's and is a long-time member of the Internet Engineering Task Force (IETF). Auerbach works with InterWorking Labs in Scotts Valley, California. He founded both Epilogue Technology Corporation and Empirical Tools and Technologies, Inc. and is the co-founder of the Boston Working Group. Auerbach is a member of the Board of Directors and the elected "at-large" representative for Bermuda, Canada, Greenland, Saint Pierre, Miquelon, and the United States to the Internet Corporation for Assigned Names and Numbers (ICANN). Auerbach is currently forming a new startup company to create tools to detect and repair network problems and to assist protocol implementors. He was formerly a senior researcher in the Advanced Internet Architecture group in the Office of the Chief Strategy Officer at Cisco System. In addition to his technical work, Auerbach has been an attorney in California since 1978 and is a member of the Intellectual Property Section of the California State Bar. He has been named as a Yuen Fellow of Law and Technology at the California Institute of Technology and Loyola of Los Angeles Law School. 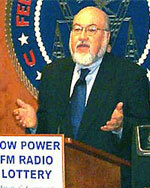 He has also received the Norbert Wiener Award from the Computer Professionals for Social Responsibility (CPSR). In his spare time he does backstage work with a professional theatre company and is helping to restore a 1923 mainline steam locomotive. 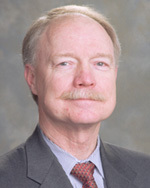 Jim Becker retired from Qwest in December 2002. From October 1998 until May 2002 he headed Qwests Worldwide IP and Network operations, design, engineering, security, construction and provisioning teams. Among his key responsibilities were global network IP and voice operations, including global field forces and network operations centers, narrowband and broadband provisioning, access, managing objectives and metrics in meeting Qwests and customers expectations for the performance of Qwest's Worldwide Network. Capital budgets ranged in excess of $4B a year. Among his achievements were building the largest and most sophisticated worldwide network in the communications industry and sustaining a 6 sigma operational level. From March until retirement Jim headed Qwest's new Enterprise unit. This unit contains Qwests international network assets, hosting, as well as some of its smaller businesses like Pay Services. Included was the Customer Operations unit, responsible for billing, credit and collections, process management, customer care and order creation. He continued to be responsible for International Operations and Global dial and hosting infrastructures. Qwest Enterprise generates $850M yr in revenue. Becker joined Qwest in 1998 as vice president of business development, responsible for evaluating new and emerging technologies, applications and services to enhance the Company's infrastructure and services portfolio. He was charged with accelerating the delivery of Internet-based communications services by initiating strategic business alliances and relationships with industry leading organizations. Becker has 35 years of experience in operations, DSL, Internet, network design and general telephony. Prior to joining Qwest, he was managing director of Global DSL and International Dial Network (DAN) at UUNET. He was instrumental in managing the global implementation and product delivery of XDSL strategies and the international expansion of UUNets dial access platform. Prior to UUNET, Becker held a variety of positions at GTE, including GTNW regional manager field services-Microsoft, with responsibility for managing the Microsoft National Network; director of engineering for GTEs ADSL program; and group manager-network operations for GTEs Internet business program. Becker retired from GTE after 30 years. Mr. Becker holds a bachelor of science in business from the University of Idaho and top secret and compartmental clearances from the US government. 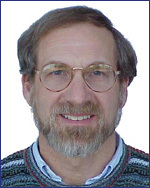 Dale N. Hatfield is currently an independent consultant and Adjunct Professor in the Department of Interdisciplinary Telecommunications at the University of Colorado at Boulder. Between December 2000 and April 2002, Hatfield served as Chair of the Department. Prior to joining the University of Colorado, Hatfield was the Chief of the Office of Engineering and Technology at the Federal Communications Commission and, immediately before that, he was Chief Technologist at the Agency. He retired from the Commission and government service in December 2000. Before joining the Commission in December 1997, he was Chief Executive Officer of Hatfield Associates, Inc., a Boulder, Colorado based multidisciplinary telecommunications consulting firm. Before founding the consulting firm in 1982, Hatfield was Acting Assistant Secretary of Commerce for Communications and Information and Acting Administrator of the National Telecommunications and Information Administration. Before moving to NTIA, Hatfield was Chief of the Office of Plans and Policy at the FCC. Hatfield was the founding director of the Telecommunications Division at the University College at the University of Denver and, for many years, taught telecommunications policy on an adjunct basis at the University of Colorado a Boulder. While in Washington, DC, Hatfield taught telecommunications technology on an adjunct basis at Georgetown University. He has nearly four decades of experience in telecommunications policy and regulation, spectrum management and related areas. He has also taught and consulted in many other countries including those in Central and Eastern Europe, Africa, the Caribbean, South America, and Asia. In 1973, Hatfield received a Department of Commerce Silver Medal for contributions to domestic communications satellite policy and, in 1999, he received the Attorney Generals Distinguished Service Award. In 2000, he received the PCIA Foundation's Eugene C. Bowler award for exceptional professionalism and dedication in government service and the Federal Communications Commission's Gold Medal Award for distinguished service. More recently, he received the Distinguished Engineer award from the University of Colorado at Boulder. He currently is a Fellow of the Radio Club of America. In February 2001, the Federal Trade Commission appointed Hatfield Monitor Trustee in the AOL/Time Warner merger. He is currently serving on the board of directors of Crown Castle International and KBDI TV-12 Public Television in Denver. Hatfield holds a BS in electrical engineering from Case Institute of Technology and an MS in Industrial Management from Purdue University.